Congratulations! You are the proud owner of a brand new Petting Zoo. Work hard and you can attract enough people so that we can expand and make this the best Petting Zoo around. 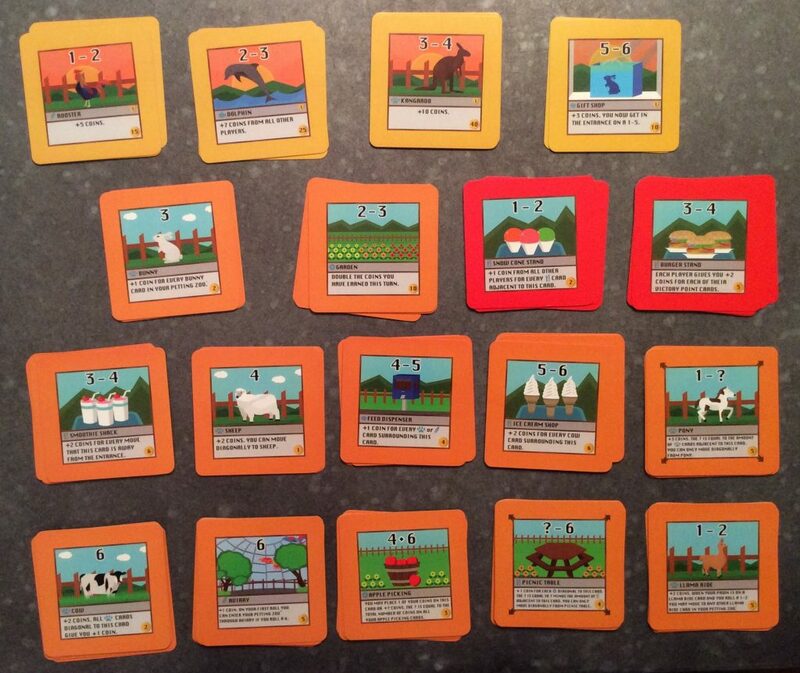 You will be building your Petting Zoo based on your own design, and on which tiles are available. You want to build a zoo that allows you to move your pawn around as much as possible each turn. The more attractions and habitats you visit, the more money you bring in to expand your zoo. The more money you have – the sooner you can build the 4 victory cards, which means you win. Here’s how your turn works. The first thing you do is roll your die. If you roll a 1, 2, 3 or 4 you get to enter the zoo. If you don’t, you get to go home, I guess (this must be one exclusive Petting Zoo). Everytime you visit another attraction, you pick up some money. As soon as you stop moving you can buy another attraction. Once you do, you get to place the new attraction, which can go anywhere adjacent to any other tile in your zoo. Then your turn is over. On your next turn, you start again outside the zoo. Roll your die. If you roll a 1, 2, 3 or 4 again, you get to enter the zoo. You the roll die again and if you roll the number on one of the tiles adjacent to the Entrance you get move to that attraction. You continue rolling and moving, collecting any money along the way until your roll does not allow you to move onto another tile (you can only visit the Entrance once per turn). Once again you have the chance to buy another attraction, and then your turn ends. Each different tile has different abilities and different payouts and depending on their locations you could land on them a lot, or never. Your choice of tiles and your placement of them will determine the rest of the game, so choose wisely. Well, here’s the thing. This game is very interesting. It can be a lot of fun. It’s very dependent upon luck, but also depends on your choices. Each turn you get to roll your die, collect money and build new attractions. Sound familiar? That’s probably because you’ve seen this before. Some of the names have changed and we’re building a petting zoo instead of a thriving city, but this game is a lot like Machi Koro. I mean a lot. Even the victory condition is the same (build these 4 things to win). Don’t get me wrong, I think it’s fun and it has its own interesting mechanic. 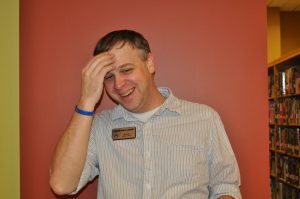 And it’s not that I’m trying to take anything away from Petting Zoo, it’s just hard to get away from the comparison. The end goal Victory cards can be worked into your Zoo as soon or as late in the game as you want. If you set it up correctly, you can start really taking in the dough and buy them on successive turns. You can also purchase a gift shop and the aviary to allow you to enter your Zoo on a 5 and a 6, insuring you will always get some money on your turn. 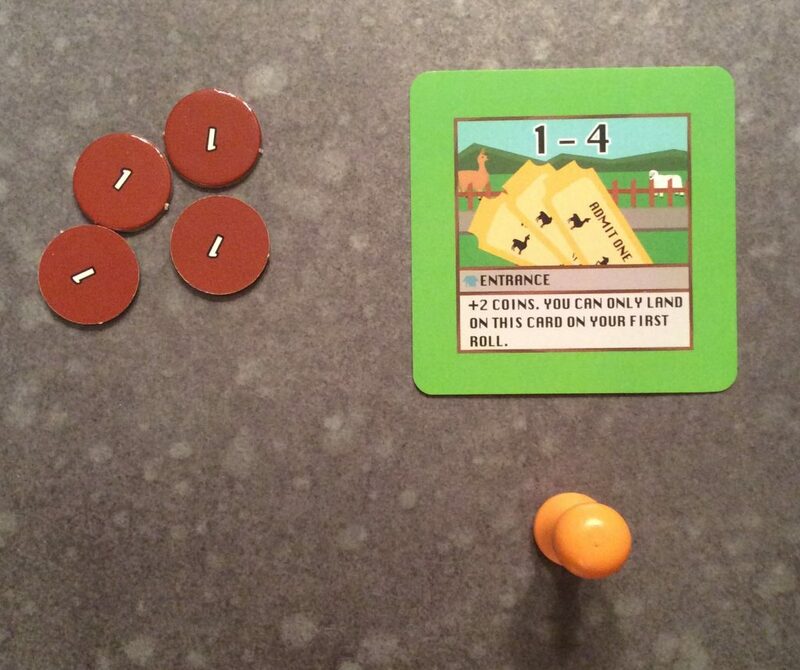 Also it is possible for you to build an engine using the Feed Dispenser that allows you to gain tons of coins every time you land on one space (similar to my Cheese factory strategy in Machi Koro). I like that you can end up moving more than once per turn. But, one of the things that makes this game interesting is also what can make it get out of hand quite quickly. On your turn you keep rolling and moving until you roll something that prevents you from moving. Because of this it is possible that you can get lucky with tour dice rolling and move around your zoo a while before having to stop, collecting a hefty sum before having to end your turn. If you can do this several times, you can really run away with the game, especially if your opponents are having crummy luck. It doesn’t quite have enough player interaction for me. 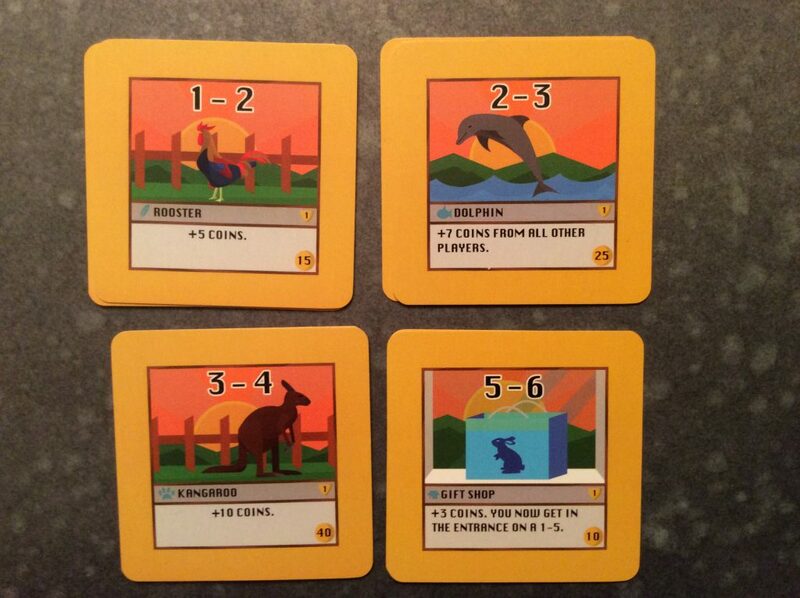 Petting Zoo has several types of cards that cause your opponents to have to pay you instead of collecting from the bank, and if my opponent gets all the Bunnies before I do, I’m just out of luck. But other than that, not much to do when it’s not your turn. There is a bunch here to like, and this isn’t a bad game by any stretch of the imagination, and I think there are a lot of people who are going to like it. The gameplay is quick and light. The art work is cute enough, although the box art doesn’t really grab you, which could be problematic in a retail market. I’m also not really sure why it has a max of 3 players,but it does. 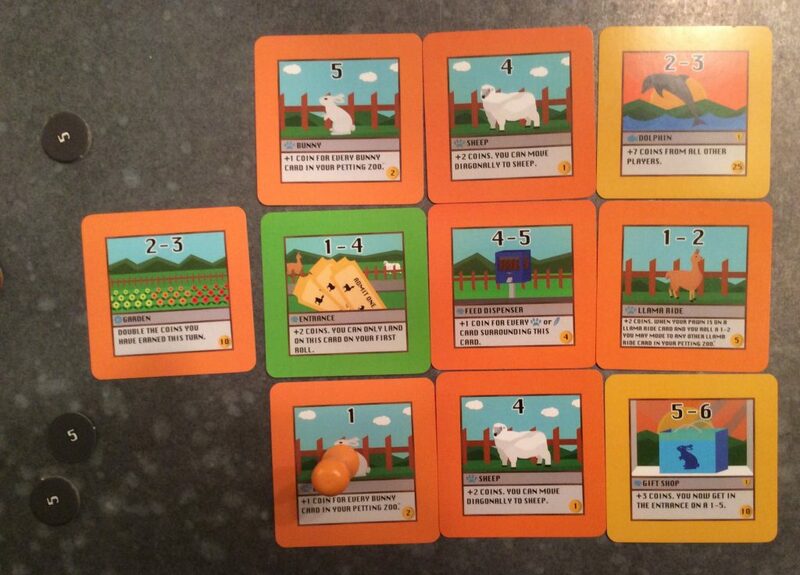 Petting Zoo is an interesting design with a neat movement mechanic, fun gameplay and it’s quick. And it’s very easy to learn and teach. All of which would make it pretty great, if I didn’t already own Machi Koro. And having played both, I’m always gonna lean towards Machi Koro. 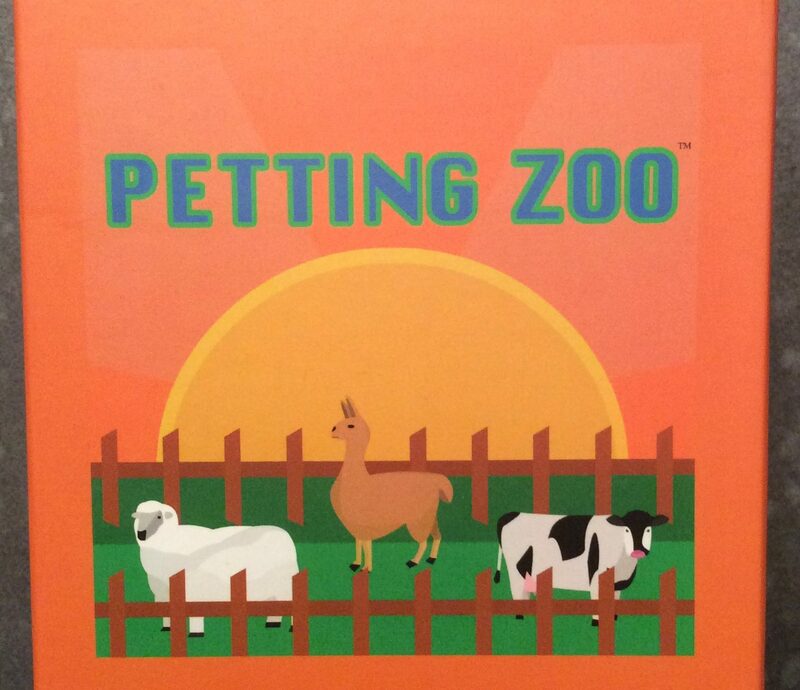 If you are interested in picking up Petting Zoo you can find it on Amazon. Little Flower Games sent us a copy of Petting Zoo as part of the Everything Board Games Network in exchange for an honest review, so that’s what we provided.